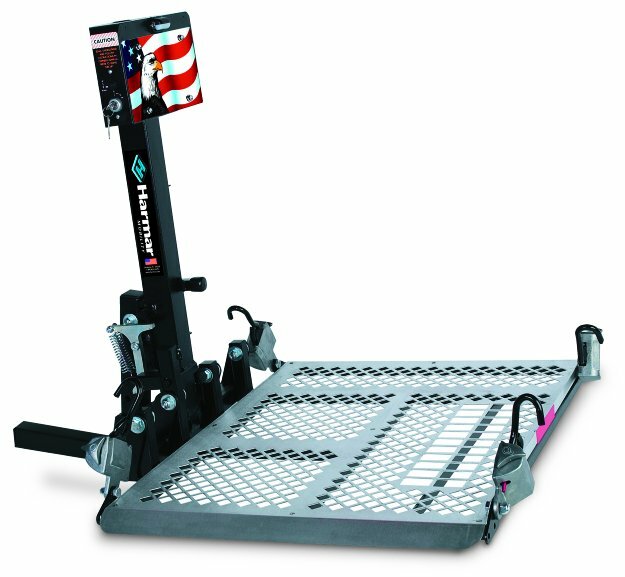 The Auto Lift 500 - This is an outside lift that easily locks down virtually any power chair on the market today, without those pesky manual ratchet straps! 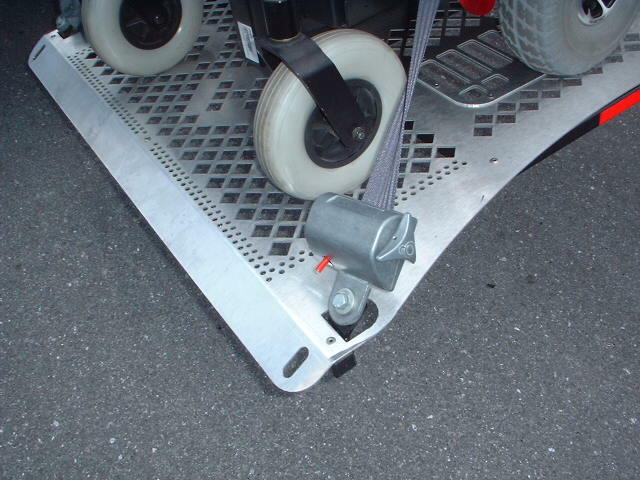 The innovative design of the Auto Lift 500 features the same quick release tensioners used in public transportation. The hooks easily retract and release with the flip of a switch and best of all, there are no cumbersome attachments to store when the lift is not in use. 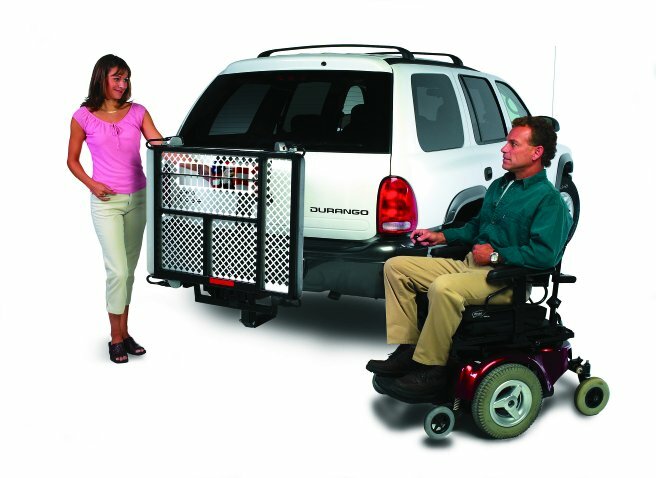 The Auto Lift 500's simple operation allows the user to easily secure a power chair with minimal effort. Combine the Auto Lift 500 with the swing away option for easy access to trunks, hatches or tailgates on your vehicle. Automatic tensioning hold down system. Load chair from either side of the lift! Heavy duty weight capacity of 350 lbs. 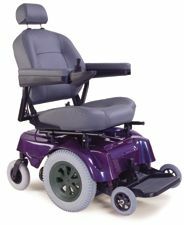 Compatible with virtually any power chair on the market today. 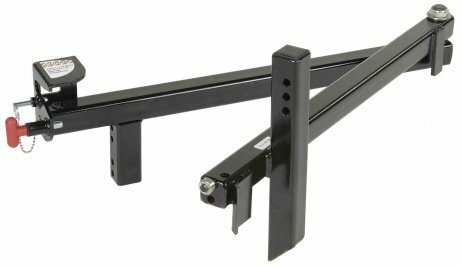 Integrated drop bracket for truck and SUV applications. 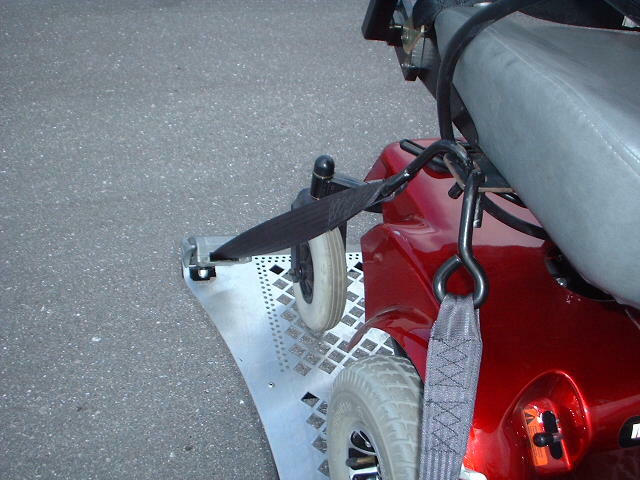 Optional swing away attachment or class II hitch adapter. This lift requires NO modifications to your power chair. Aluminum Deck Size 28.5" x 39"
Weight of Lift 98 lbs.